A small village with high expectations. A paradise of wine. 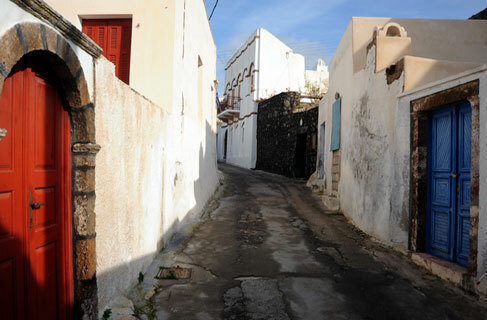 The three most important wineries of the island are located here: Boutaris, Antoniou, Gavalas. You will have the chance to savour the unique volcanic taste and sea aromas, and initiate into a thousand-year history of wine poetry. Stroll along the square, admire the lacey steeples, discover tasty treasures at the traditional tavern Raki. Enjoy your meditation or tai-chi, at dawn or after your swim. Your evening here gains another dimension.